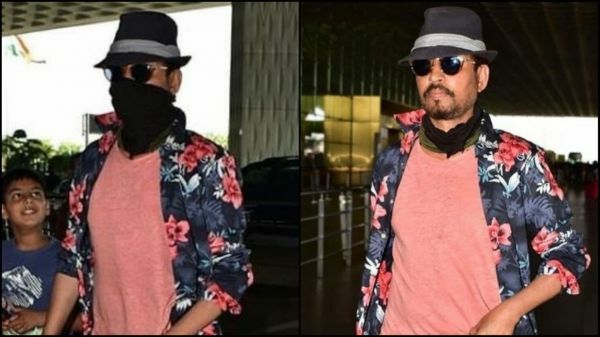 Irrfan Khan was diagnosed with high-grade neuroendocrine tumour in 2018 and flew to London for treatment. 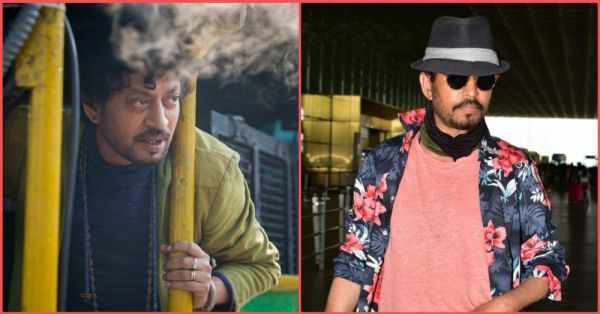 The actor was last seen in Dulquer Salmaan's light-hearted comedy film Karwaan and has been MIA from Bollywood ever since the news of his 'rare condition' came out. Earlier this week, he was finally spotted at the Mumbai airport. In fact, he even took off his mask to let paps photograph him. "Maybe somewhere in the pursuit of winning, we forget how much it means to be loved. In our vulnerability, we are reminded. 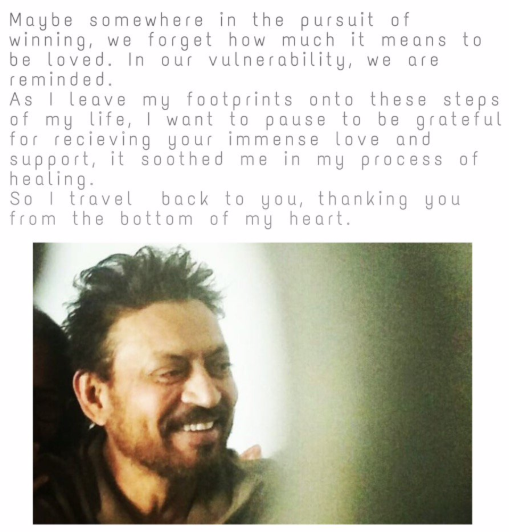 As I leave my footprints onto these steps of my life, I want to pause to be grateful for receiving your immense love and support, it soothed me in my process of healing. So I travel back to you, thanking you from the bottom of my heart." "Throughout my journey, people have been wishing me well, praying for me, from all over the world. People I know, people I don’t even know. They were praying from different places, different time zones, and I feel all their prayers become ONE." The actor was diagnosed with an 'undisclosed disease' in February 2018, and it was speculated to be brain cancer by media. However, the actor took to his Twitter account and announced that he would share his story with his fans in about a week and implored the media to not 'speculate' anything just yet. 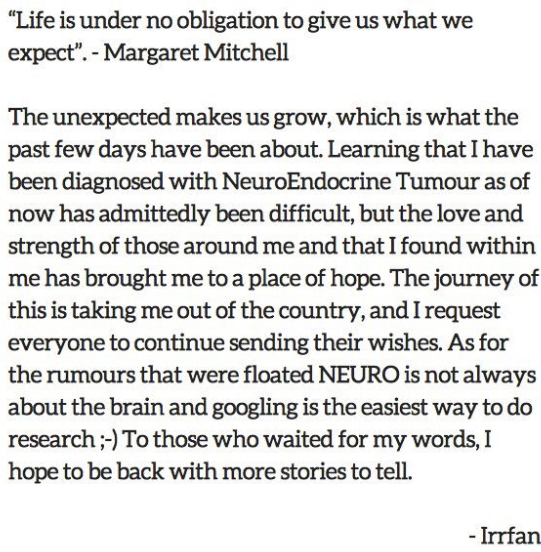 Finally, on 16th March last year, Khan announced through a Twitter post that he is suffering from neuroendocrine tumour. 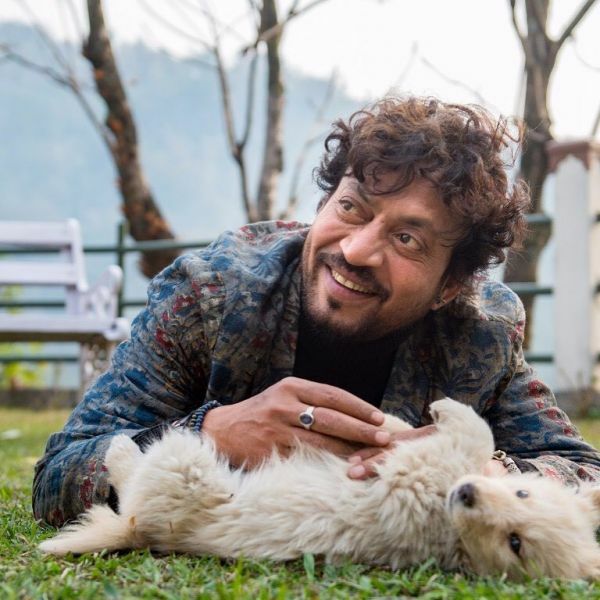 Irrfan Khan is expected to begin work on the sequel of Hindi Medium which is likely to be titled English Medium. According to a grapevine, Kareena Kapoor Khan has been finalised to star in the film. If reports are to believed, Pataakha actress Radhika Madan will be essaying the role of Khan's daughter this time.